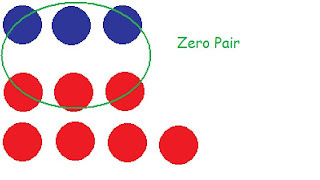 -A zero pair are 2 integers that have the same value but has opposite signs. 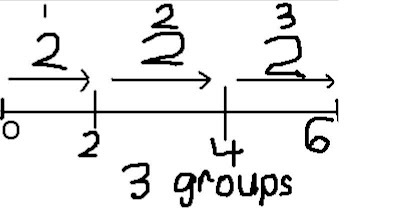 -Integer problems can be solved using a number line or chips. 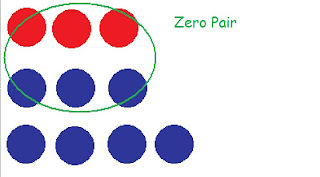 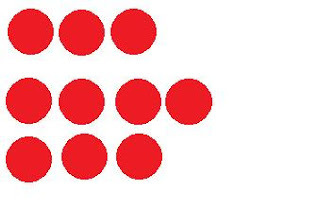 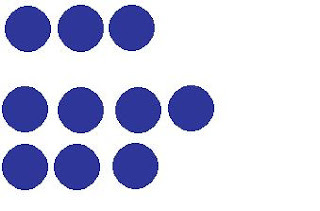 When using chips a red chip would represent a positive integer and a blue chip would represent a negative integer, so one blue chip and one red chip would equal a zero pair. 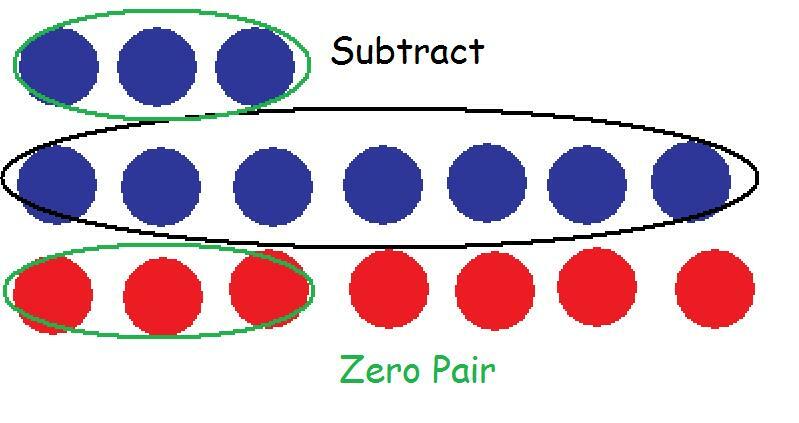 -A rule to remember when subtracting integers is "when subtracting something that isn't there use a zero pair"
Sign Rule Works with Dividing Integers too. When you have an odd amount of negative signs the quotient will be negative, when you have an even amount of negative signs the quotient will be positive. 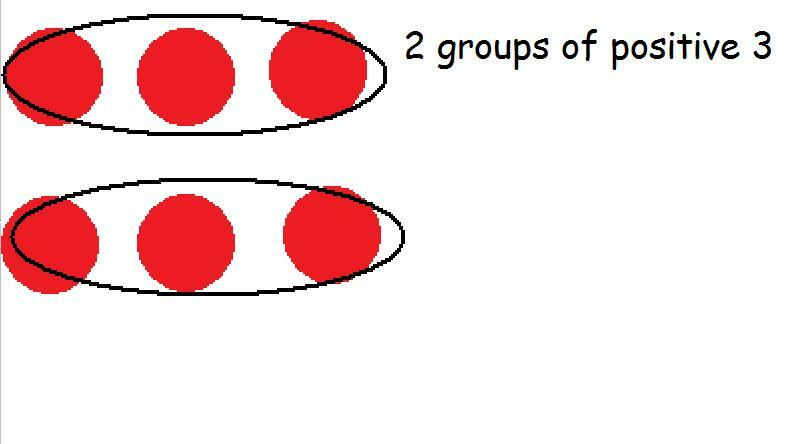 Partitive Division is how many groups are between 0 and a number. 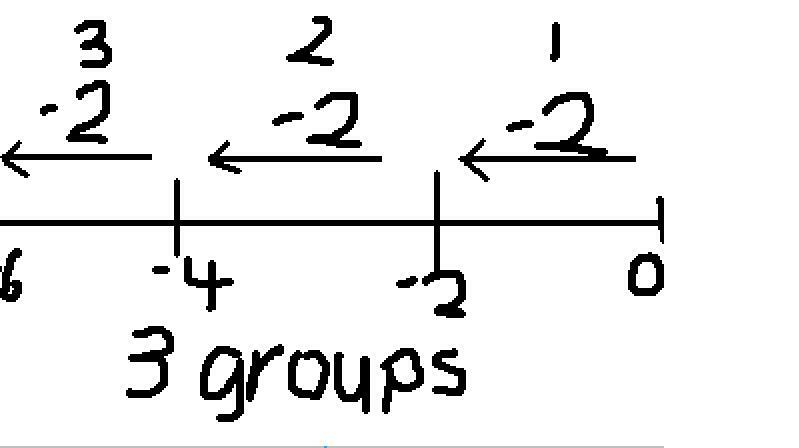 How do you share (-6) with 2 groups? 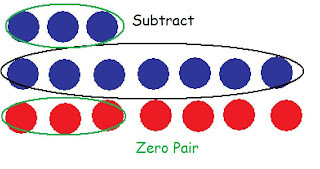 Multiplicative Inverse is when you switch the quotient with the divisor or dividend. 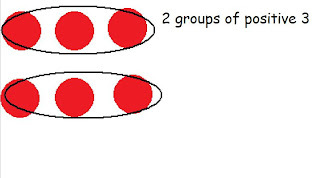 Make the question: -2 ÷ _ = 6. 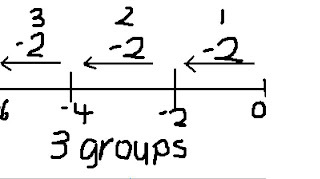 So 2 x 3 is 6 and since the 2 is negative, the 3 has to be negative because the answer is positive. left to right, and since there are I put a square bracket. 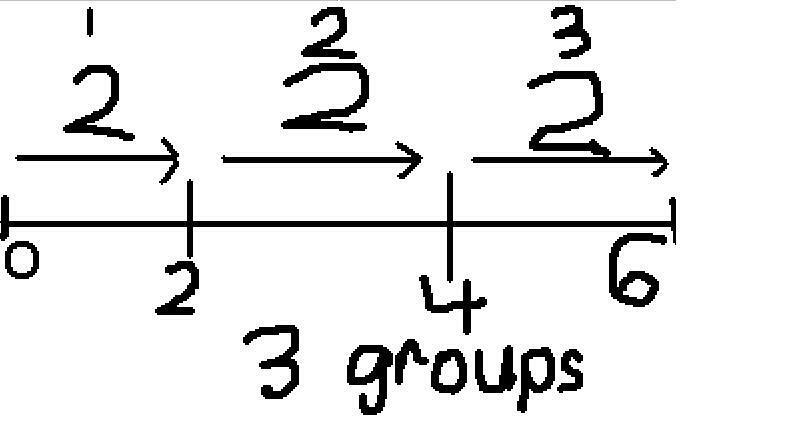 [(+5) x (-3)] + (-6) ÷ (+3)= Now we do the multiplication in the square brackets. 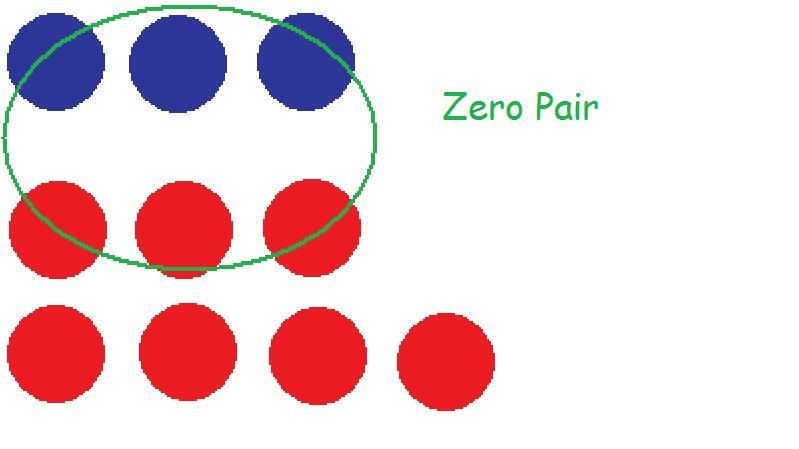 (-15) + (-6) ÷ (+3)= Now we square bracket the division. 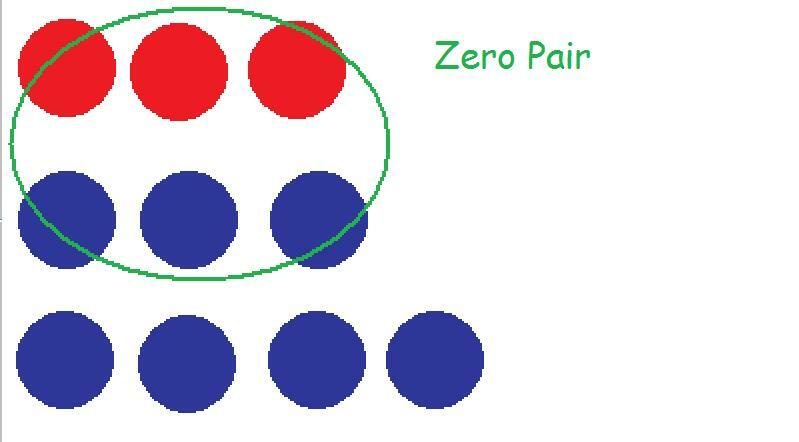 (-15) + [(-6) ÷ (+3)]= Now we do the division in the square bracket. 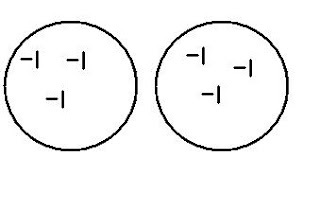 (-15) + (-2)= Now add the numbers.